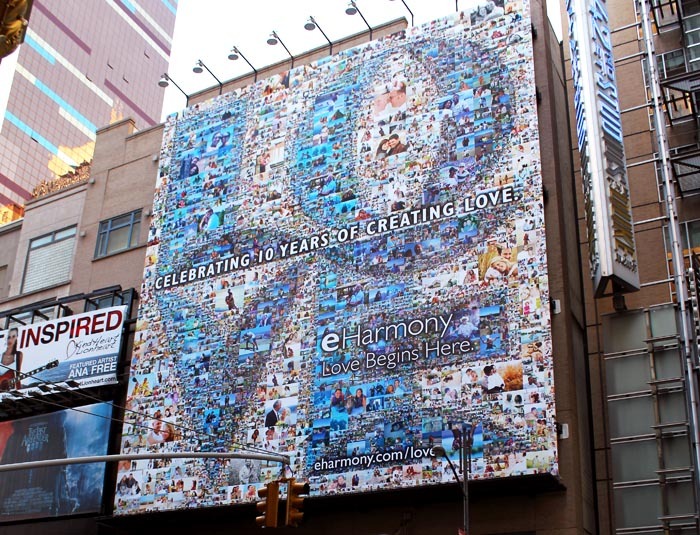 Nothing has more of a wow factor than a photo mosaic that is bigger than you. 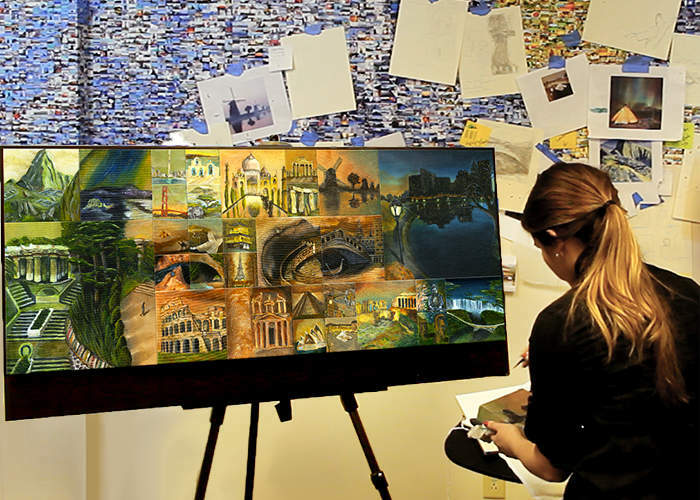 Taking in such a large composition of photos makes an impression that not many artistic genres can accomplish. 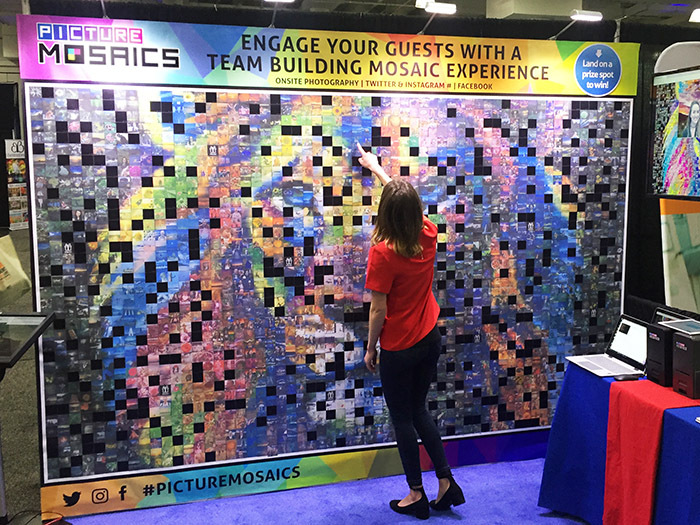 We have created software and configured our equipment to handle the demands of these extremely large mosaics so that resolution, detail, and vividness are not compromised. 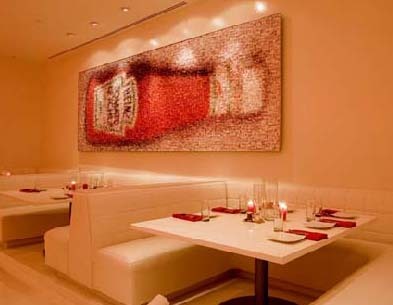 For mosaics equal or smaller than 44'' in width by any length. 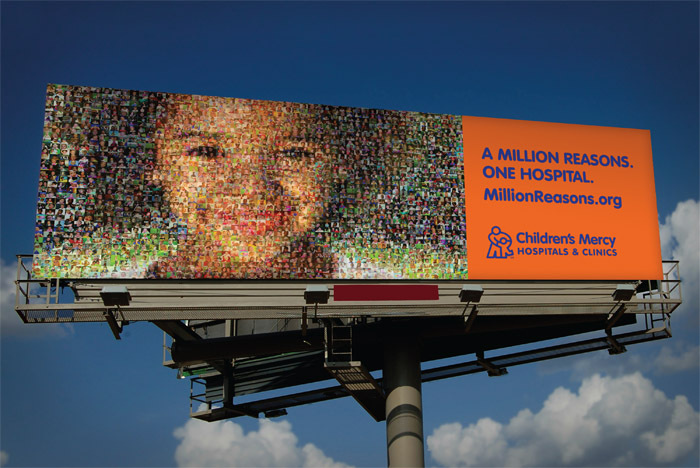 heavy weight premium luster photo paper, premium matte canvas, ultra-smooth matte vinyl, or our smart-flex repositionable adhesive matte vinyl for maximum resolution and clarity. 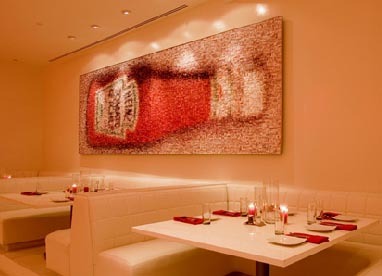 This option is recommended for mosaics that will be viewed up-close (1 foot and less) to 200+ feet away. 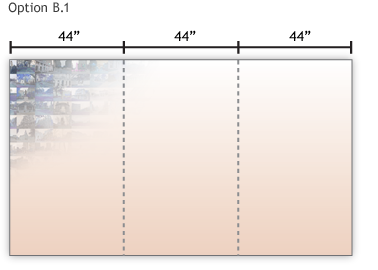 We will provide you with borderless 44" high resolution tiles which you can simply place side by side (see above). 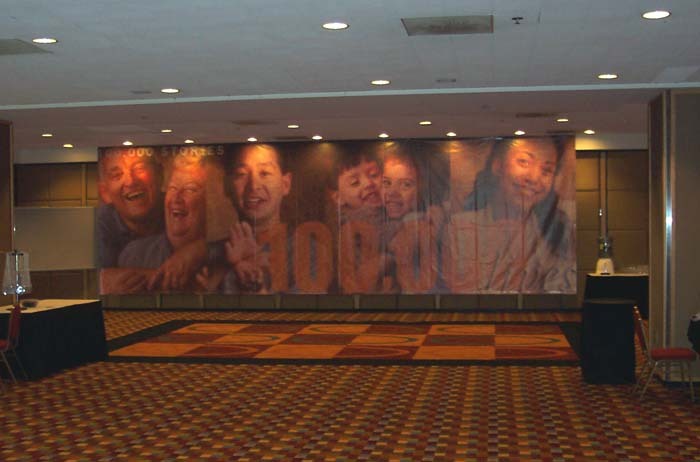 Of the many premium media options available, our most popular options are smart-flex repositionable adhesive matte vinyl, ultra-smooth matte vinyl, and heavy weight luster photo paper, all which offer superior clarity. 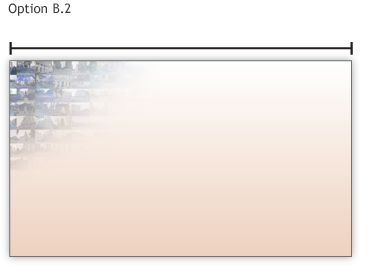 *These premium media types can only be up to 44" in width (manufacturer limit). 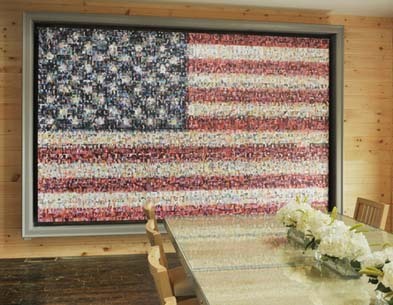 This option is recommended for mosaics that will be viewed from 2 feet to 200+ feet away. 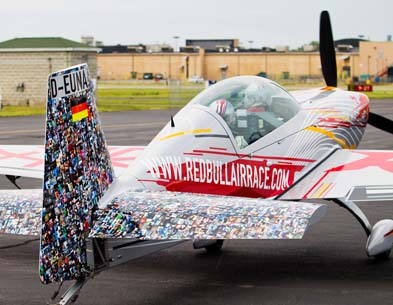 Vinyl is great for large prints, however, ultra-wide format printers can not print at high dpi values and therefore clarity is slightly compromised. 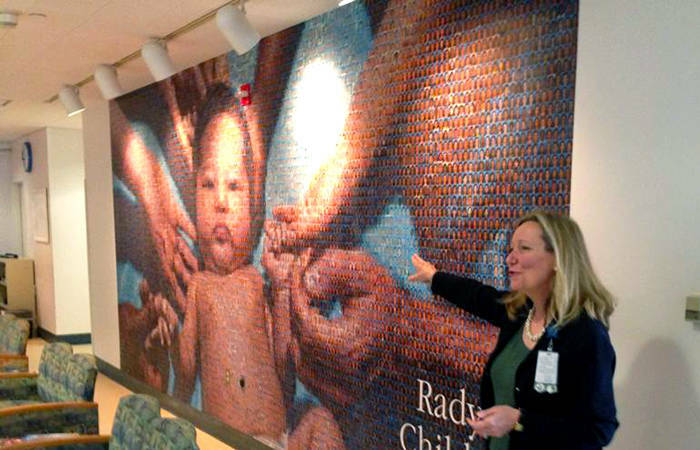 Unless the cell photos are large (greater than 1 inch wide), these large one-piece vinyl murals are not recommend for up-close viewing. 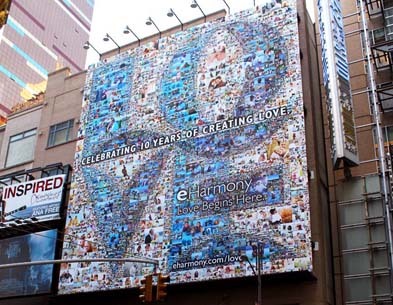 Above: Times Square 70'x80' multi-size mosaic billboard. 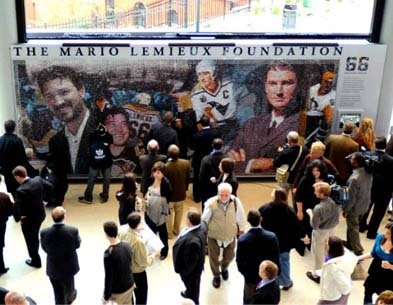 Above: The Mario Mosaic. 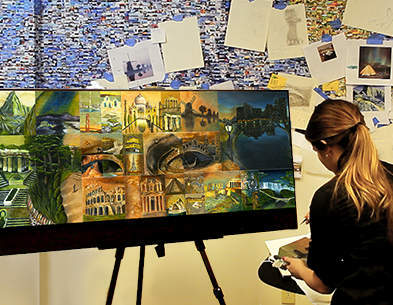 A 20'x8' mosaic mural with interactive touch screen kiosks. 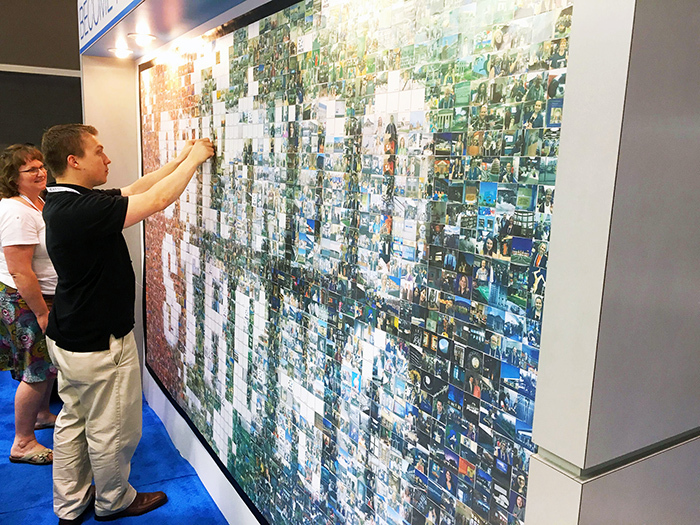 Above: The BizBash 2016 Live Print Mosaic. 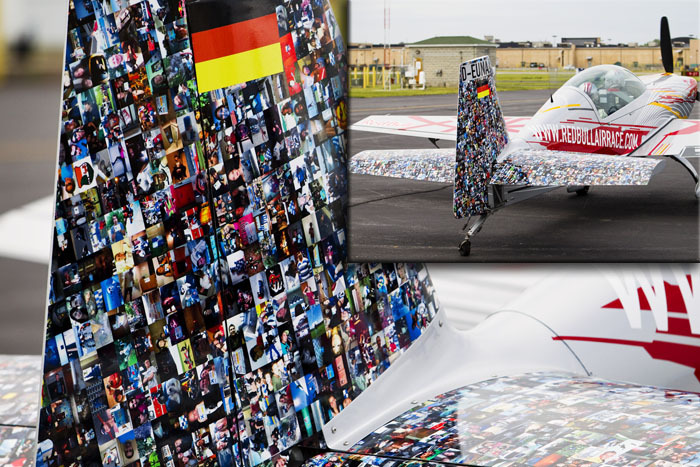 Above: Our Guinness Book of World Records Photo Mosaic. 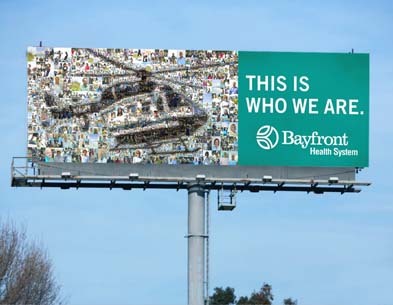 Made up of 176,750 unique images spanning over 21,000 square feet. 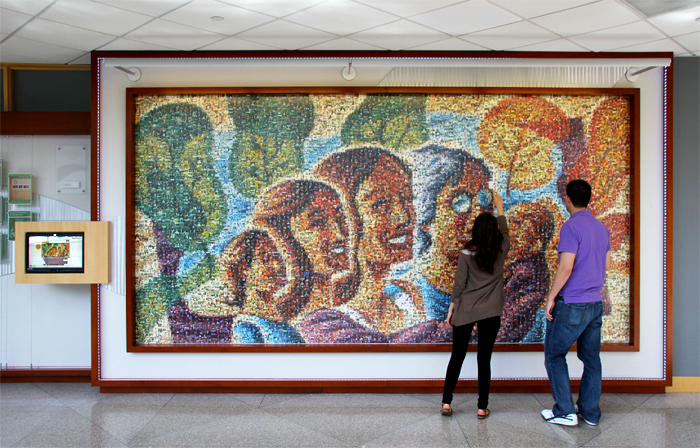 Above: The SalonCentric Convention Live Print Mosaic. 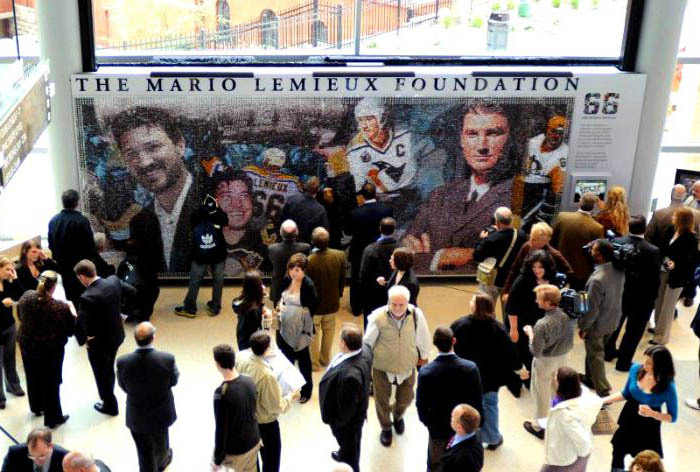 Above: The Magee Mosaic. 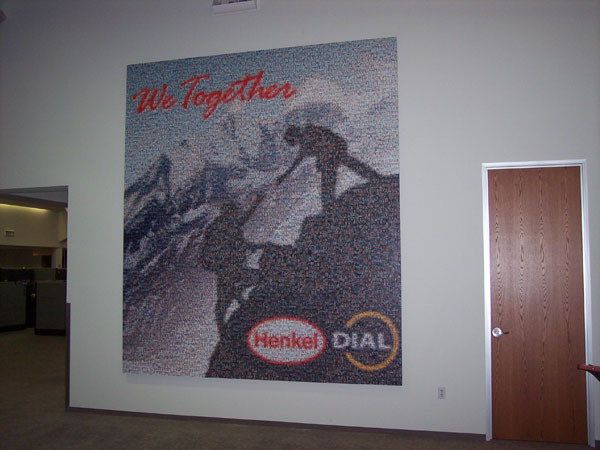 A 14'x7' mosaic mural with interactive touch screen kiosk. 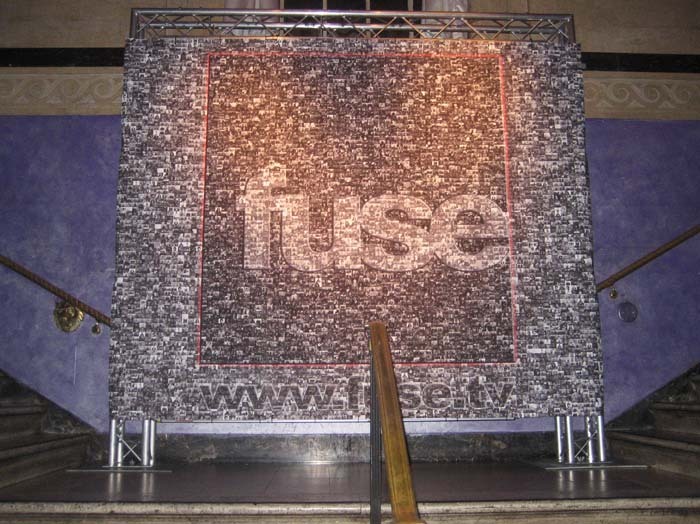 Above: The Intel Live Print Mosaic. 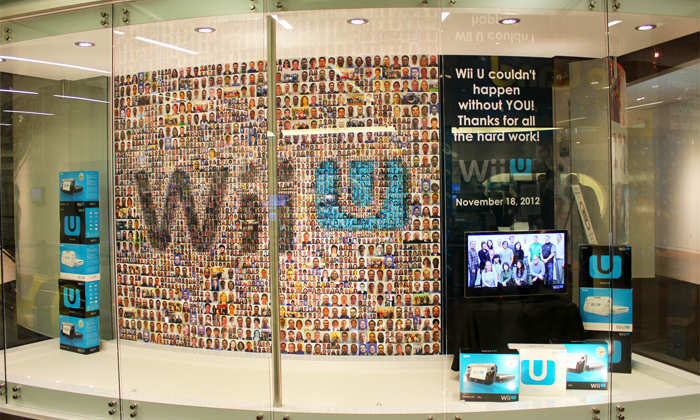 Above: Nintendo Wii U Mosaic. 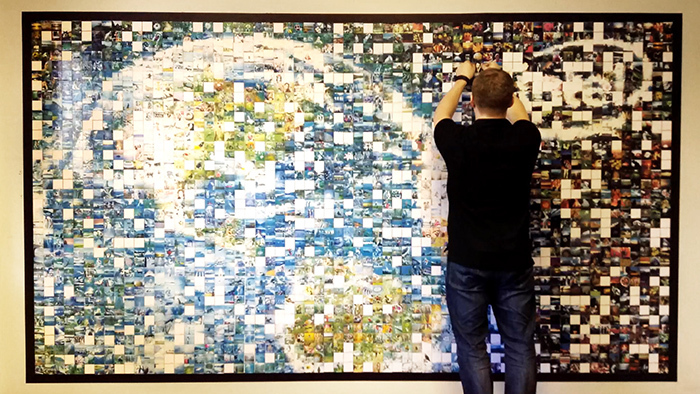 A 9'x7' multi-size mosaic to celebrate the launch of the Wii U. 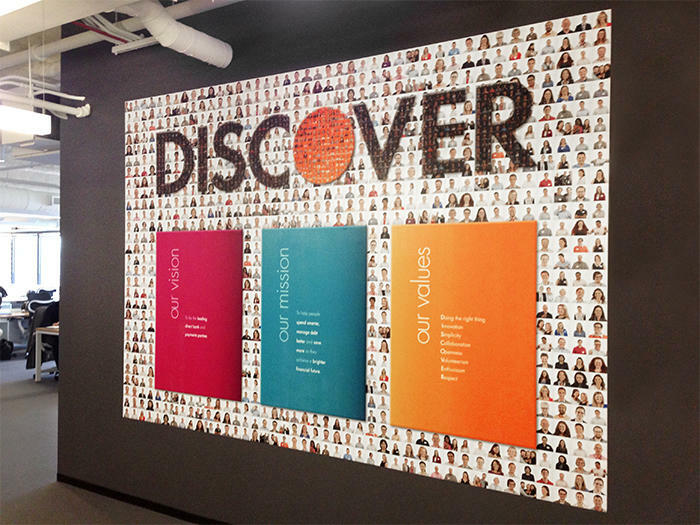 Above: Discover Financial Services mosaic. 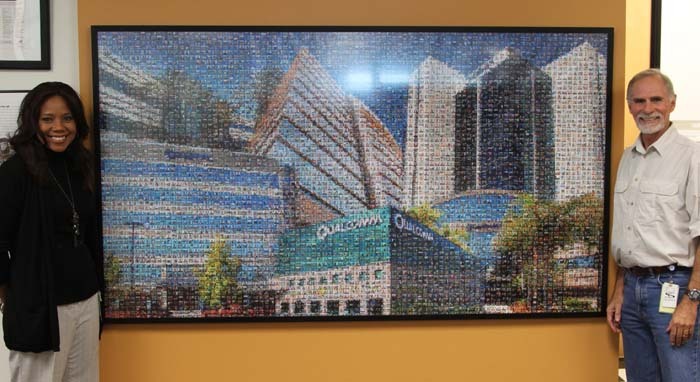 10'8"x7'4" photo mosaic honoring their team and company values. 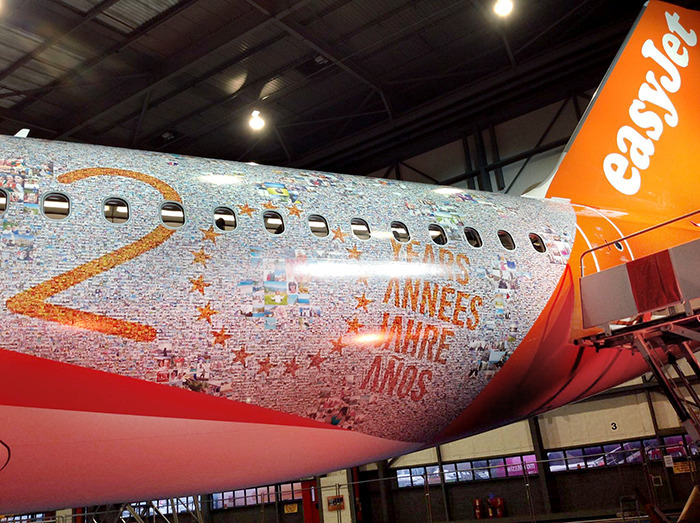 Above: The easyJet 20th Birthday Plane Photo Mosaic. 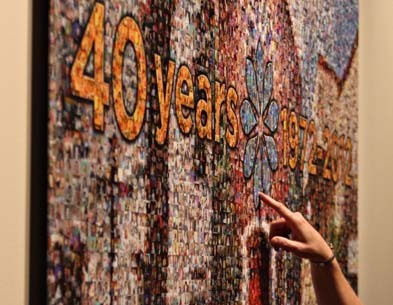 Featuring 100k+ fan photos submitted through the easyJet 20th birthday online interactive mosaic. 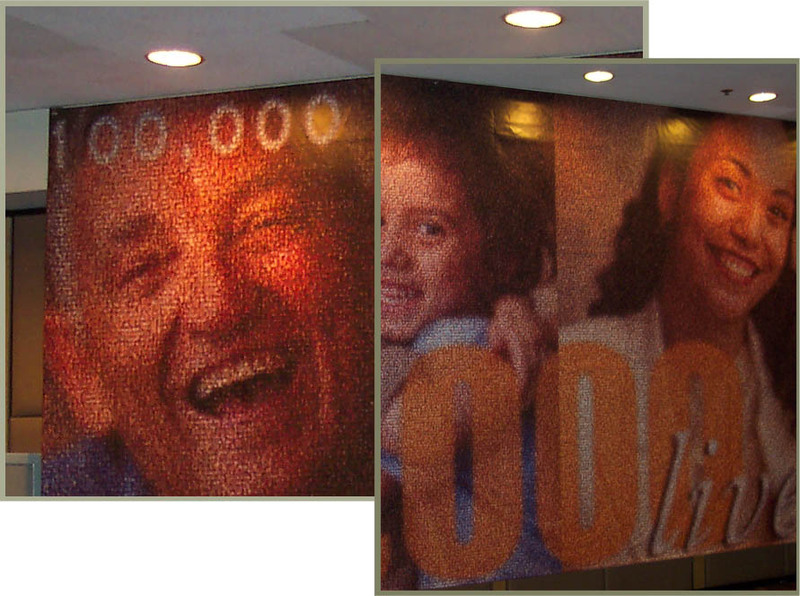 Above: The Lidl Conference Live Print Mosaic. Above: Rady Children's Hospital. 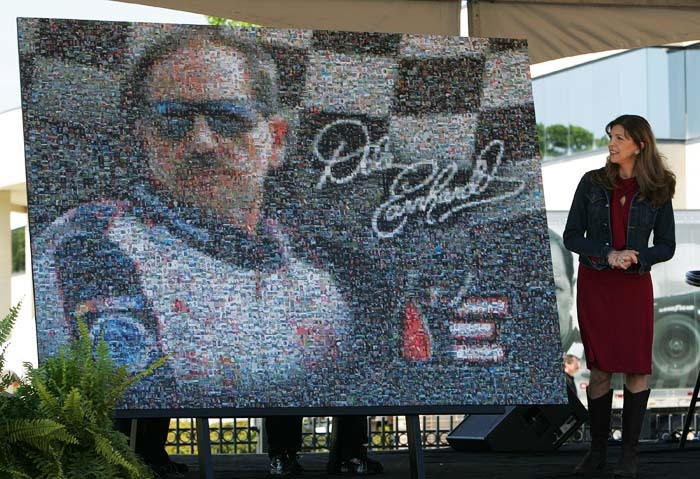 A 20'x10' mosaic made up of 5,000 Rady team members. 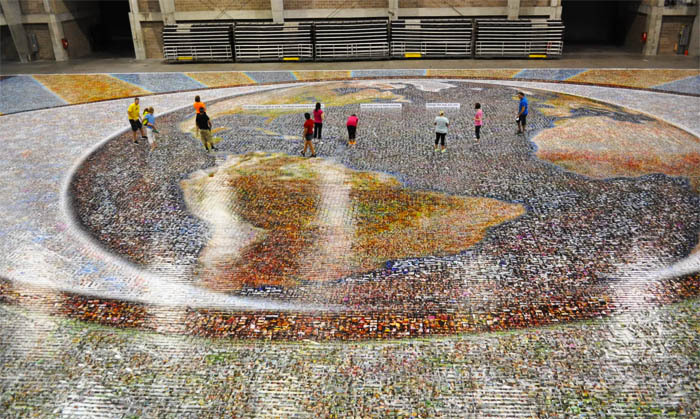 Above: The FedEx Ground Mosaic. 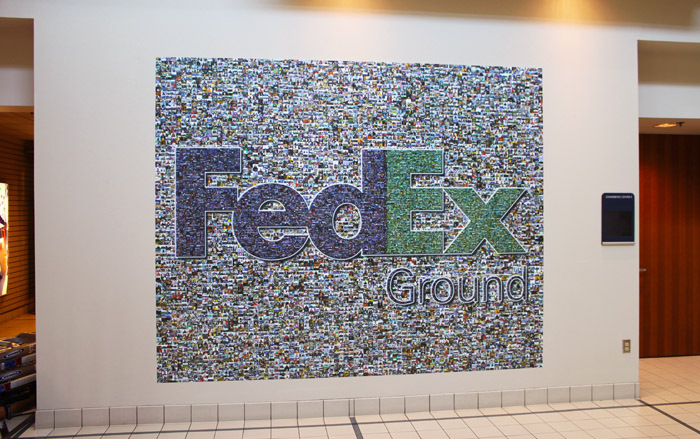 A 10'x8' mosaic mural, installed at the FedEx headquarters in Pittsburgh. 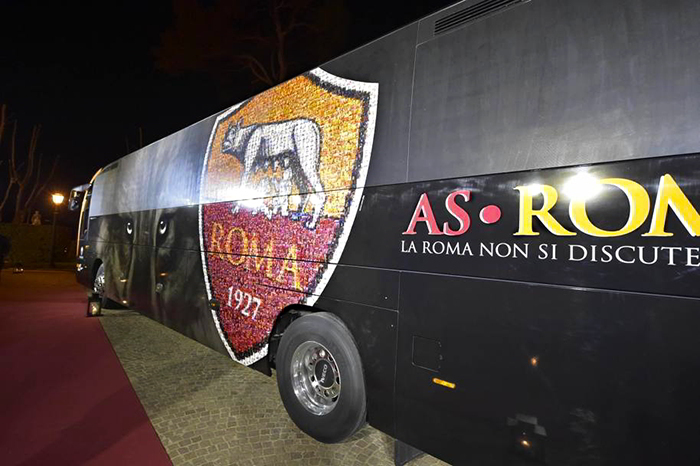 using fan-submitted photos from the AS ROMA 'Ride With Us' online interactive mosaic. Above: The ALA Conference Live Print. 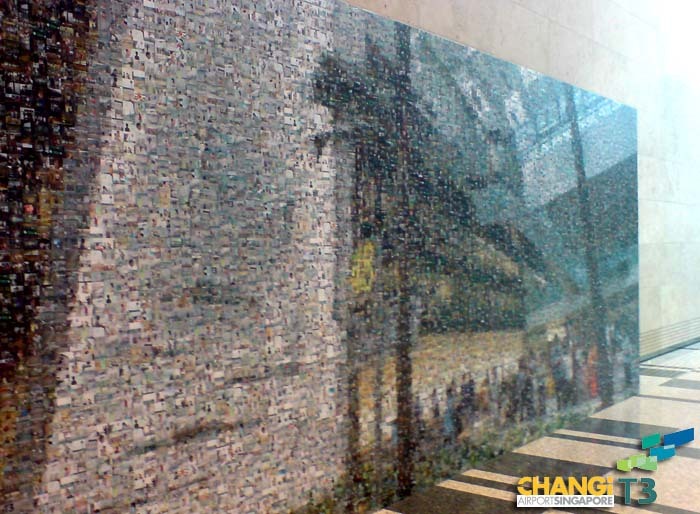 Above: Permanent 12'x24' mosaic mural in Singapore's new airport. 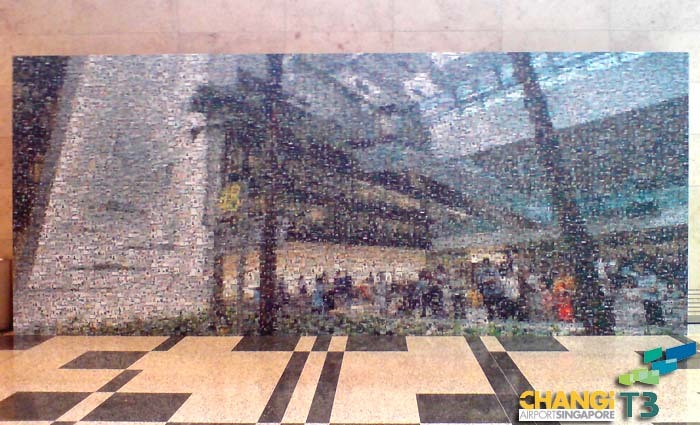 Above: (alternate view) Permanent 12'x24' mosaic mural in Singapore's new airport. 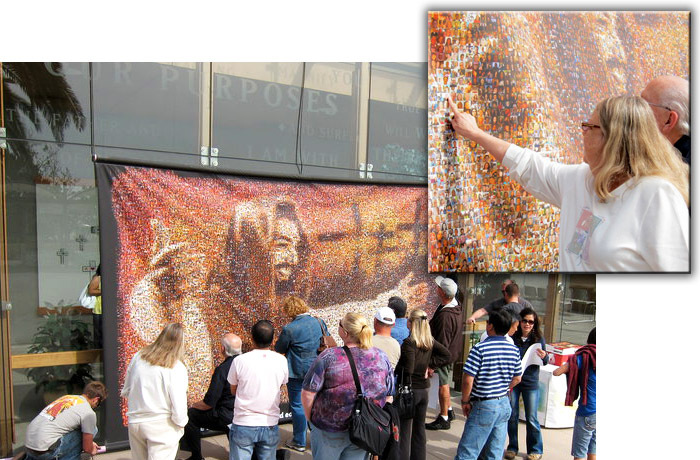 *Allows people to walk up within a few inches of the mosaic and still have perfect clarity. 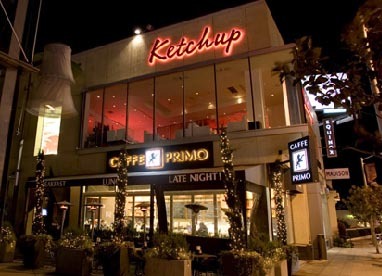 Above: Ketchup Restaurant Mosaic in Los Angeles. 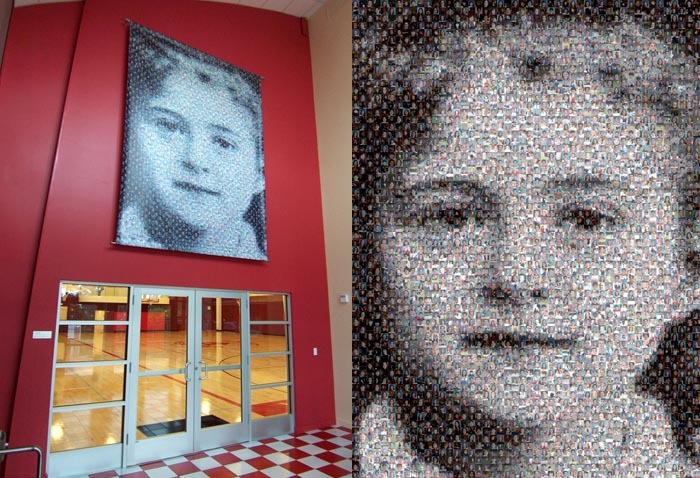 A 5'x10' mosaic made from iconic images (seamless mount).